Engineering Solutions One Story at a Time! 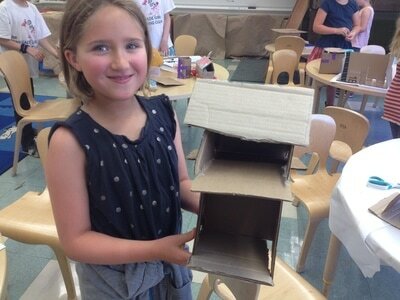 ​Perfect for children who love building and creative thinking. 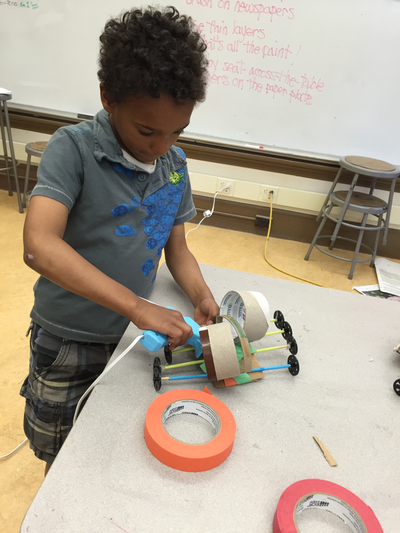 Children explore simple machines, engineering design, and problem solving. We work individually and in teams, create and build, and find solutions to fairy tale problems that don’t rely on a Prince or Fairy Godmother but on our campers themselves. Three Little Pigs learn about stability when building, and more! Projects and stories are all new in Take Two of this popular camp. Our Renegade Teachers will guide Renegades as they explore, experiment, create and complete camp projects on their own. This camp has no screen time.